Kolkata: Rivers can create havoc. But if you have to be residing in Assam and are a Bengali speaking resident then the after-effect of the Brahmaputra river swallowing villages after villages, in Assam every year during the monsoon, can be even more devastating. For a better understanding, take the example of Rashminara Begum, who was three-month-pregnant when she was arrested and taken to prison after she failed to prove that error in the date of birth, mentioned in her school leaving certificate was a mere clerical error. Thus she was declared a foreigner. The village where she grew up, has long been engulfed by the Bhramaputra river and along with it were swallowed all the necessary documents, the pre-Independence documents along with a certificate which declared that her grandfather was a freedom fighter and a Congress leader. 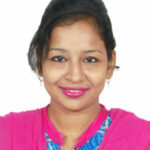 The letter of identification from the secretary of the gram panchayat that mentioned that she had moved to her present village after marriage was also not considered to be sufficient enough to prove her nationality. “My grandfather was a freedom fighter. My brother has a government job. How can I be called a foreigner?,” rued Rashminara, while talking to a fact-finding team that had travelled from Delhi to Assam for a ground-zero assessment of the problems that lie with the updation of the National Register of Citizens (NRC). 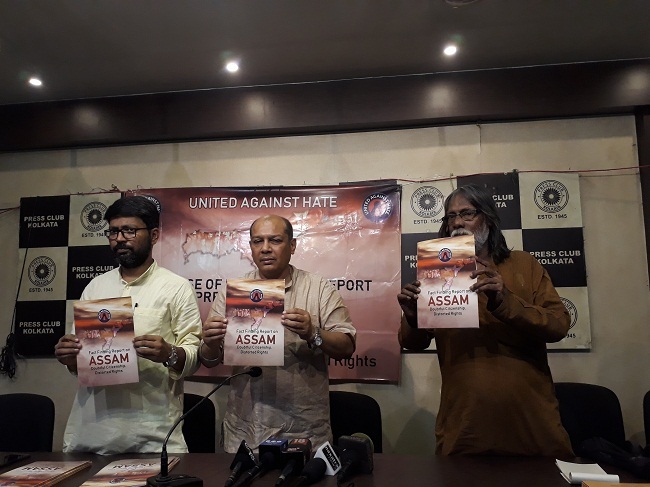 An initiative of human rights organization – United Against Hate (UAH) had SR Darapuri, former inspector general of Uttar Pradesh Police, senior journalist Amit Sengupta and activist Nadeem Khan, along with nine more team members comprising human right activists and journalist to gauge the existing scenario of Assam. The findings compiled into – Fact Finding Report on Assam, Doubtful Citizenship, Distorted Rights, was released at the Kolkata Press Club on Wednesday by Sengupta, Khan and senior journalist Debashis Aich. The activists also alleged that the tribunals set up by the government were not completely unbiased and impartial. They stated that during their stay in Assam, they had come across many cases, some of which they have mentioned in the report, where the citizenship had been denied on flimsy ground. “Adding on to the woes of these people is the fact that the NRC reports and updates and notices are being uploaded on the internet. Many don’t have access to the internet and are not tech savvy, so we came across many cases, where these people missed out on their hearings as the notice or summons were released online. Thereby, they got listed as D-voters or doubtful voters and would now have to prove their nationality,” explained Sengupta. The report further adds that the government’s move or decision to support the Citizenship Amendment Bill 2016, which proposed to accept illegal immigrants who are Hindu, Jains, Sikhs, Parsis and even Christians but Muslims from Pakistan, Afghanistan and Bangladesh as Indian citizens are making things more complex.